Knox finds out that Ruiz has been killed and retrieves the tape from him. He hears Tommy admit to Killing Lobos with Ghost and he deduces that Angela worked with them. He stops Ghost to offer him a deal, which leads Ghost to search Knox's apartment for the tape. Knox brings his suspicions to Sandoval, but he soon figures out that Sandoval is the mole, not Angela. Sandoval kills Knox to cover his steps. Kanan and LaVerne drug Tariq and send a picture to Tasha, asking for a ransom to get him back. 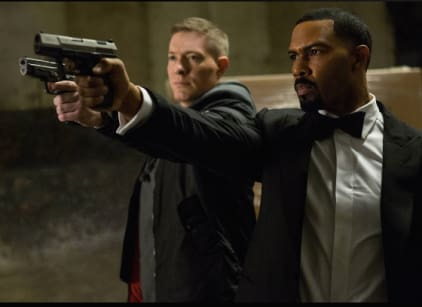 Ghost and Tommy follow through with their plan to kill Milan, effectively getting Ghost out of the drug business and making Tommy the new connect. At Truth's big party, Angela arrests Ghost for Knox's murder after finding his fingerprint on his window.